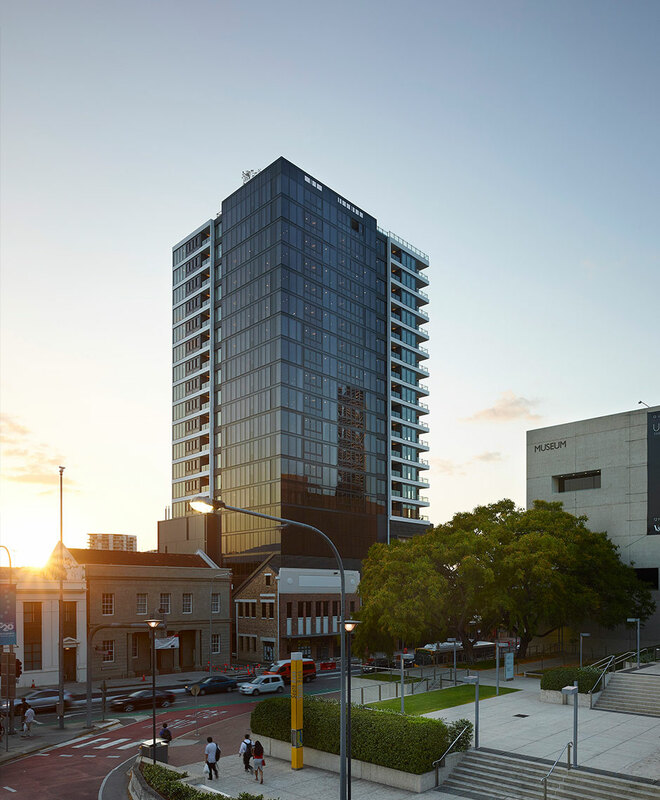 Austin acts as a gateway to the Queensland Arts precinct, highlighting its significance as a key marker in the evolution of South Brisbane. 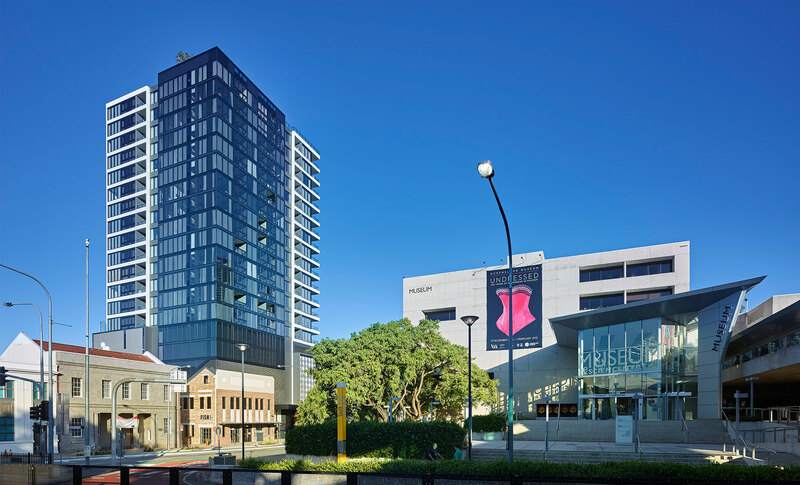 A multi-residential project, with a significant hospitality and retail offering at ground level, Austin acts as a gateway to the Queensland Arts precinct, highlighting its significance as a key marker in the evolution of South Brisbane as a high density residential and commercial precinct. Conversation between Austin and the adjacent CBD skyline addresses scale, singularity and materiality created by a collision of crystalline glass and white horizontal precast strata. 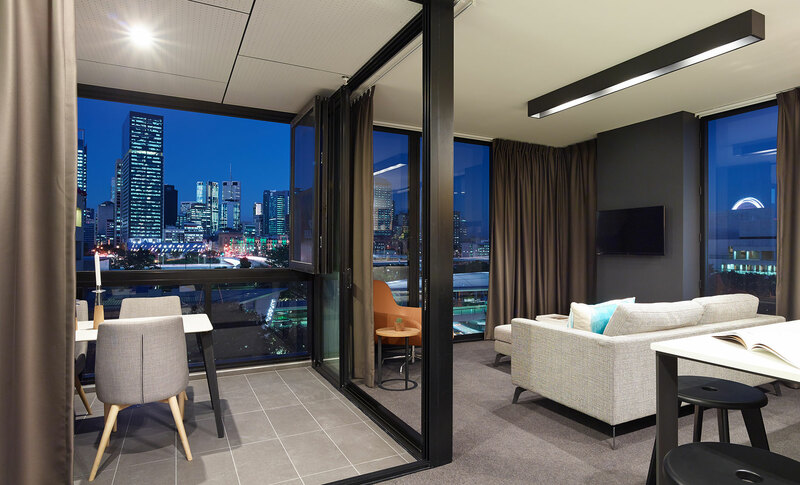 The dominant black glass tower allows for uninterrupted panoramic views and lands softly at the ground behind the retained brickwork façade providing a seamless transition. 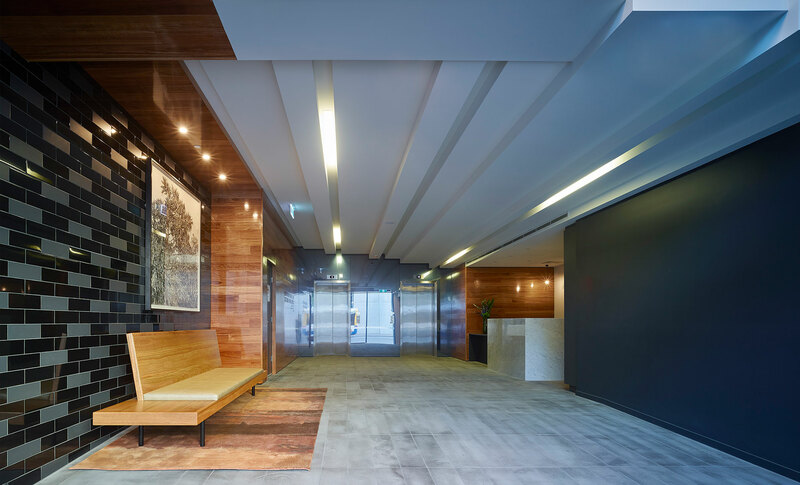 Fundamental to the concept of the design is the presence of artwork generously incorporated into both the exterior podium and more intimately scaled works to both the main lobby and the lift lobbies at the upper residential levels. 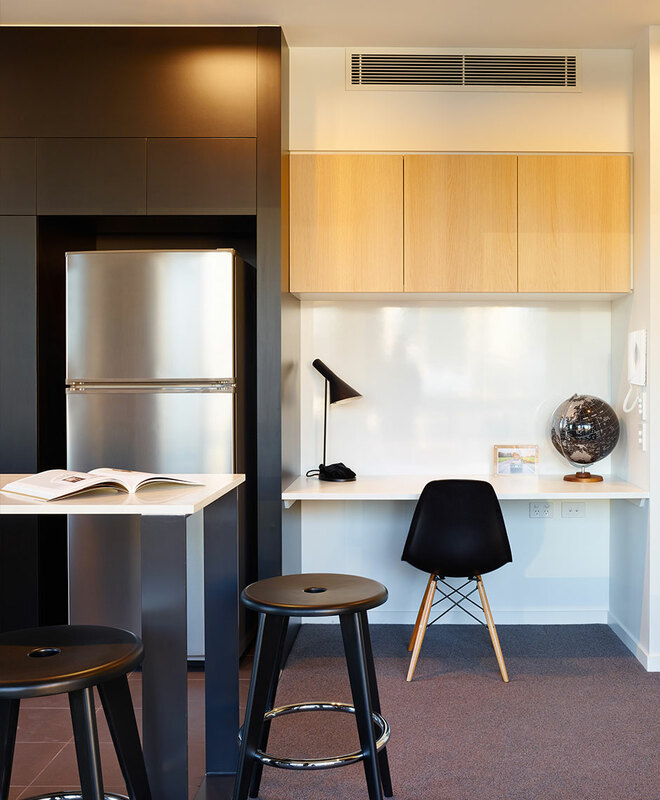 The rooftop common area amenities are a high priority recreation zone rich in planted landscape and encouraging of both private and social interaction. 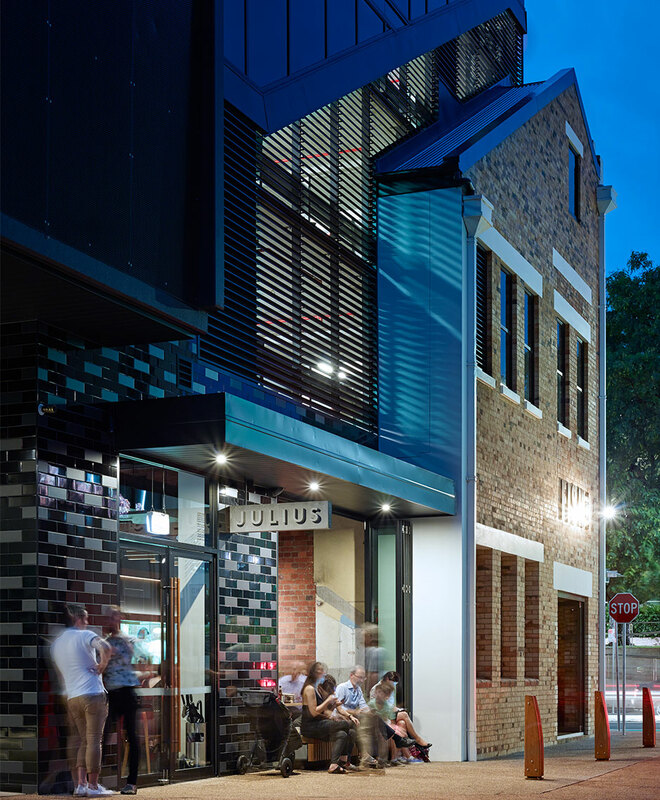 The retention of a character commercial building has been facilitated by stripping back and restoring what was originally a 1920s railway workshop to its previous expression, creating a grounding threshold to Fish Lane; envisaged as an evolving entertainment spine that links to West End beyond.